Explore Wyoming's top romantic vacation spots while staying at a cozy inn, stylish mountain lodge or a unique hotel. 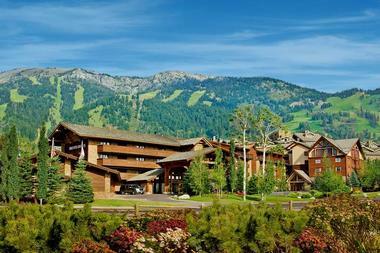 Visit Grand Teton National Park, drive through Yellowstone, plan a hiking trip or relax at a spa. Whether you are looking for a luxury hideaway or an affordable weekend break, our list includes many beautiful places to stay. 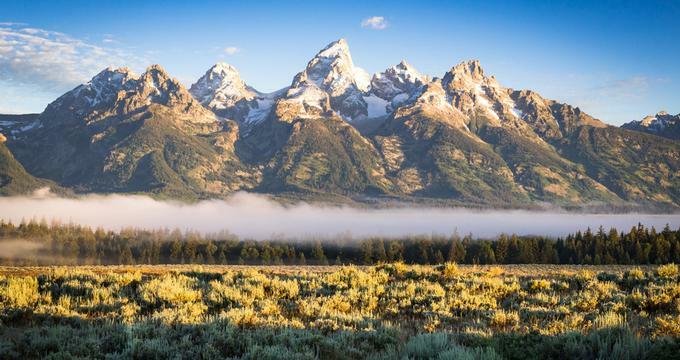 Here are some of the best Wyoming vacations. The Wort Hotel was built in 1941 and visitors who choose to stay here can know that they are staying in a little piece of history. The hotel is built to reflect the charming style of the Old West and is located only two minutes on foot from the center of Jackson. 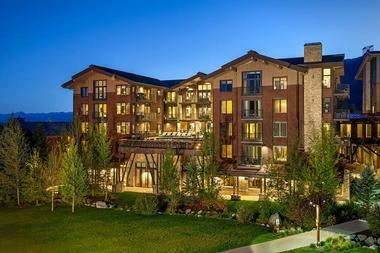 For guests who fancy exploring the area, the hotel is also near Grand Teton National Park. 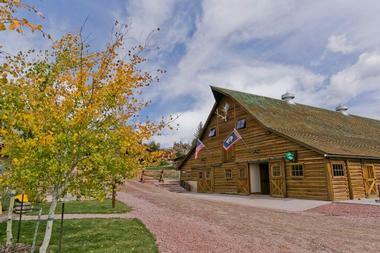 Brush Creek Ranch is a luxury Wyoming dude ranch near Saratoga spread over 15,000 acres. 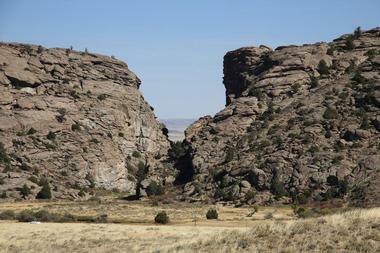 It is located about 30 miles from the Medicine Bow National Forest, in the heart of the scenic Platte River Valley in southeastern Wyoming. 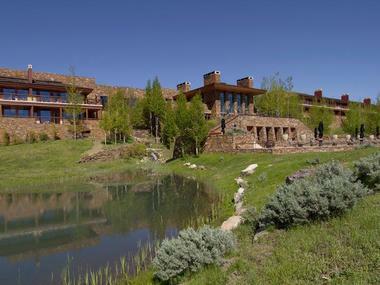 The guests of the Lodge & Spa at Brush Creek Ranch have the opportunity to experience the spirit and grandeur of the American West in style and comfort. The ranch was founded in the late 1800s as a working cattle ranch and still functions as such. Some of the adventures the guests enjoy are big game hunting, fly fishing, campfire dining, and horseback riding. In the winter, the activities include snowshoeing, Nordic skiing, sledding, and snowmobiling. The ranch rooms are comfortable and refined, with beautiful mountain views, typical Western-style rustic furnishing, free Wi-Fi, coffeemakers, and fine linens. Private cabins and suite cabins are also available. The guests enjoy gourmet meals, yoga classes, a fitness center, a spa, a great room, a saloon, and a beautiful scenic mountaintop deck. Spring Creek Ranch is a unique place to stay in Jackson which features cabins that are designed to allow guests to take in the best of the surrounding mountain views thanks to private balconies and patios. 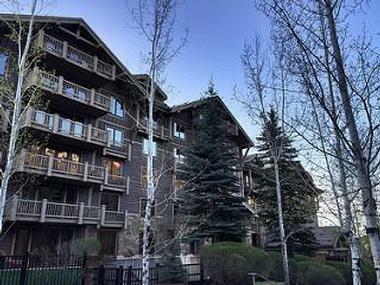 Larger groups, can book a townhouse or a villa instead of a cabin, and all accommodations are situated close to other outdoor attractions like the National Museum of Wildlife Art and Grand Teton National Park. The ranch has hot tubs and pools to help guests to relax after a long day exploring the local flora and fauna, and there is a shuttle that takes guests to the Jackson Hole Mountain Resort should they want to indulge in some winter sports like skiing. Hotel Terra, nestled close to the Jackson Hole Mountain Resort is,an eco-hotel that is designed in a modern style that aims to practice responsible and sustainable hospitality whichpreserves the local environment and is sure to be a hit with guests. Some features of the hotel include rooms with rain showers and heated floors, and suites that have private terrace areas as well as balconies. For guests who want to explore the great outdoors as part of their stay, Hotel Terra is situated near Grand Teton National Park and the National Elk Refuge for those who are interested in wildlife conservation. Keep reading for more Wyoming destinations. The Spa Suites at Rustic Inn offers guests the best in both hotel service and spa treatments, and there is a choice of either rooms or charming cabins for visitors to choose from. Whatever guests prefer, they can expect full amenities including Wi-Fi, rain showers, and cozy fireplaces that are perfect when things cool down. For something truly unique, head for the Bentwood Inn, a luxurious bed and breakfast that is made from 200 year-old local timber. The bed and breakfast spans 6,000 square feet and nearby attractions include Jackson Hole Mountain Resort as well as Grand Teton National Park. The rooms at the bed and breakfast are designed individually and all have Western themes and are decorated with period furnishings that will make guests feel like they have stepped back in time. Some of these include sweeping bay windows, balconies, and log walls, although there are also modern touches like flat screen televisions and whirlpool bathtubs. The Rusty Parrot Lodge and Spa is a family-run business that features 32 intimate rooms so guests can expect privacy and relaxation during their stay here. Guests who stay at the lodge will find friendly and knowledgeable local staff who will answer any questions you have about the area. The rooms are individually styled and are designed with luxury in mind such as whirlpools and fireplaces. There are suites that feature special bathtubs designed for two that are perfect for anyone looking for a romantic honeymoon setting. One of the big draws here is the Body Sage Spa which has some of the finest treatments and spa technicians in the area. 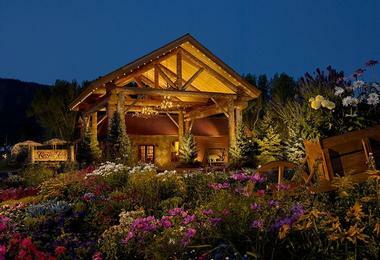 Located in the Jackson Hole Mountain Resort, the Snake River Lodge and Spa is a charming lodge modeled in the classic Western style that is close to Teton National Park and Bridger-Teton National Forest, so opportunities to explore the local area are limitless. 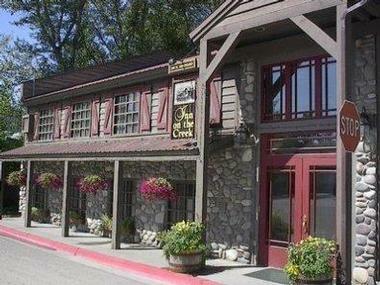 Nestled on the edge of gorgeous Flat Creek, the Inn on the Creek is a charming and rustic bed and breakfast experience which is located close to central Jackson. From the inn, visitors can walk into town and explore delightful Jackson Town Square, and if they want to venture further afield they can head to Grand Teton National Park. The inn may be small but it makes up for this with privacy and attention to detail in the form of amenities such as dramatic four poster beds and individual whirlpool tubs. 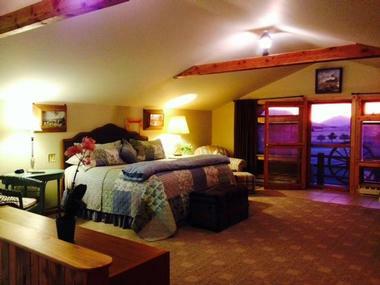 There are also larger suites available with kitchen and living areas for families to enjoy. For guests who want to enjoy the spectacle of Snow King Mountain in Wyoming, Amangani is the perfect place to visit in the winter and enjoy the snow. The hotel is perfectly placed to provide guests with gorgeous mountain views from their rooms, and the resort is also conveniently located less than five miles outside of Jackson for those who want to explore the local area. The hotel offers luxury accommodations for guests in the form of fully stocked suites with individual fireplaces, flat screen televisions, Wi-Fi, and minibars. Suites also come with their own individual balconies or patio areas in order for guests to experience uninterrupted vistas of the mountains from the privacy of their own rooms. Four Seasons Jackson Hole is set amidst breathtaking mountain scenery and sits close to other local attractions such as the Jackson Hole Aerial Tram and the Jackson Hole Mountain Resort for those guests who want to go skiing on vacation. The emphasis at the Four Seasons in on luxury and the rooms at the hotel feature marble bathrooms complete with spacious tubs that are perfect after a long day of hitting the slopes. Guests should also expect roaring fireplaces and minibars, and some suites also feature their own private terraces. In the hotel itself, guests can enjoy both indoor and outdoor pools, fine dining options, and a cafe. Situated just outside of Cody in Wyoming, this charming ranch is a great choice for guests who are looking to experience something a little different. The site used to be a cattle ranch and now guests can enjoy the spirit of the West at this delightful getaway that is nestled between mountains, meadows, and vast stretches of pristine wilderness. That said, the location of the ranch means that visitors are also close to downtown Cody should they prefer to go into town. 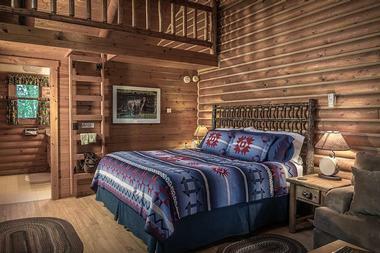 Rooms at the ranch are individually styled to reflect the local environment and have Western themed names such as the Chuck Wagon Room. In keeping with local traditions food is cooked over a campfire for guests. Morley's Acres Farm and Bed and Breakfast is a family run business which operates a cozy bed and breakfast lodging, and a working farm which supplies many of the ingredients for delicious meals cooked for guests onsite. 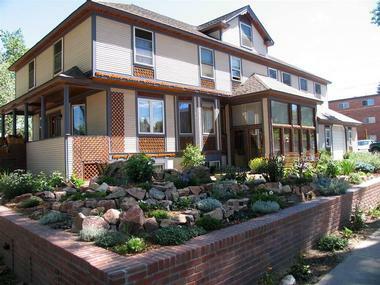 The bed and breakfast is strategically located in a historically significant area of Idaho, and has just three rooms to choose from giving the lodging an intimate feel for those who want to relax and get away from the crowds. Activities to choose from in the surrounding area include skiing, hiking, biking, and fishing in the nearby Teton Mountains. 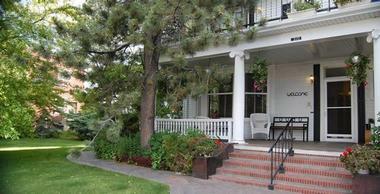 The bed and breakfast is also close to other areas of interest such as Jackson Hole. 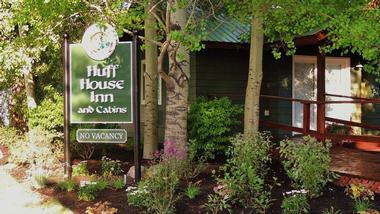 As the name suggests, this is not your typical inn, but a rather fun bed and breakfast option located in the town of Laramie. All rooms are traditionally furnished with period antiques although guests will also have full access to all modern touches such as televisions, internet, and minibars. In keeping with the period features of the inn, guests can expect spacious claw-foot bathtubs and the main cottage is equipped with a large deck area to take in the local sights, as well as a whirlpool tub for guests to soak in. The inn is locatedon charming grounds and guests are encouraged to go for a stroll to take in the local wildlife as well as the onsite pond. The former residence of Dr. Charles Huff, a prominent doctor famous for delivering healthcare to the residents of Jackson, the Huff House Inn was built in 1917 and renovated in 2015 to provide guests with a luxurious inn experience in downtown Jackson. 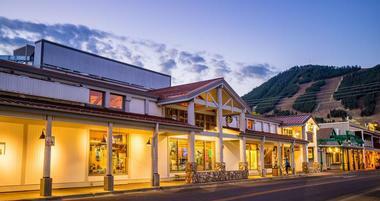 From the inn's strategic location, guests can walk to a range of dining, shopping, and entertainment venues, as well as explore the legendary scenery of Wyoming. This period location has just five rooms and three cabins available which means that guests can expect a bespoke service from friendly staff. There is a fire pit and hot tub onsite for guests to enjoy. If you really want to go back in time then head to the Historic Mansion House Inn, a hotel that dates from 1903 and is furnished in the traditional Victorian style to give guests a rustic and old-word feel. The inn is close to points of interest such as museums and Fort Phil Kearny, so it's a good choice for guests who are interested in exploring local sights further. The rooms are styled around individual themes and thereis an emphasis on period Victorian features such as iconic claw-foot tubs for guests to soak in after a long day. That said, the inn also has all the modern amenities needed to truly relax in style such as flat screen televisions. Recently renovated and under new ownership, the Jackson Hole Hideout features both rooms and suites which will appeal to a range of budgets and styles meaning that everyone can now experience a taste of the famous Jackson Hole hospitality. There is ample decking which is so guests can enjoy the lush surroundings and a wealth of local flora and fauna, as well as a hot tub for guests to use after a day of sightseeing. Rooms and service are bespoke to cater to all guests' needs and the emphasis at this classic bed and breakfast is on friendly service in a comfortable setting. 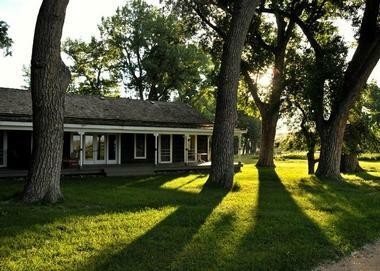 The original building on the TA Guest Ranch dates all the way back to 1882, making this the perfect location for guests who want to step back in time and stay in a setting of historical significance in Wyoming. 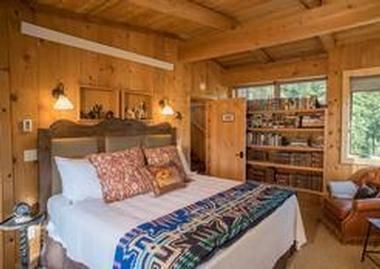 This family ranch has now been renovated andonly offers three guest rooms and a common room that guests can use for socializing, so it has an intimate and familiar feel for those looking for a quiet and relaxing vacation. Rooms include period features such as pot-bellied stoves and are designed to reflect the style of the Old West. The Sager House is designed to provide guests with relaxing and serene lodging in Wyoming in a classically styled period home. The inn is over a hundred years old and still retains all the elegant charm of another era. The rooms are designed and furnished in an antique style with works of art from all across the globe. Rooms are spacious and include private bathtubs. 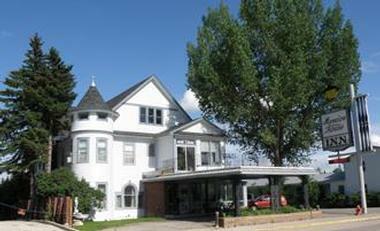 The inn caters to all of your needs including breakfast and afternoon tea. The inn's strategic location will be a treat for guests who wish explore nearby nature trails that are rich with local wildlife. Strategically located near to the Black Hills and nestled in Lytle Creek Valley, Lytle Creek Inn Bed and Breakfast is a sight to behold for visitors who can enjoy the gorgeous verdant Wyoming scenery as well as towering hills and lush secluded valleys. From the inn, guests can take in the neighboring Devils Tower National Monument, and the area is rich with flora and fauna that can be viewed from the comfort of plentiful deck areas at the inn. Rooms are spacious and the inn has a cozy and peaceful feeling which allows guest to unwind and enjoy home cooked meals for a real taste of Wyoming. Nestled along the banks of the picturesque North Platte River, Red Butte Ranch Private Lodging is a delightful bed and breakfast that is situated near to the Alcova Reservoir. For something a little different, the Red Butte Lodge is decorated in an antipodean style, and reflects Australian and New Zealand motifs. The cottage next to the river has three bedrooms available for a secluded stay. Despite the rustic charm, the rooms are all equipped with the latest amenities such as flat screen televisions and kitchen areas. Guests also receive private access to the river and boating is an excellent way to enjoy the majestic scenery from the water. Nestled in the lush and romantic Wapiti Valley, Margo's Mountain Suite is conveniently situated in Cody but is also close to Yellowstone National Park. This means that guests can enjoy all the delights of local wildlife spotting while still enjoying the hustle and bustle of a town environment, including must-see activities like the Nightly Rodeo in Cody. The rooms at Margo's Mountain Suite are designed with guests' comfort in mind and the emphasis is on rest and relaxation after a long day exploring the local sights. The rooms are modeled on a farmhouse feel and are individually themed with full breakfasts served to guests daily. 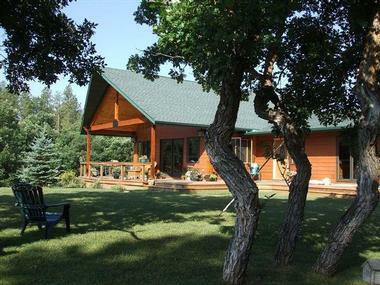 This sweet bed and breakfast, quaintly located next to the river, is near local attractions such as Bamforth National Wildlife Refuge and is built in the traditional style of log cabins. The cabins have all their own amenities such as separate living quarters, cozy fireplaces, and private porch areas, and some are even located right on the river. 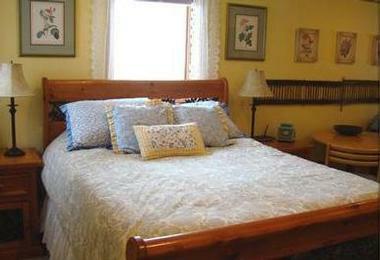 They are decorated with antique furnishings such as period brass beds and also have hot tubs for guests to enjoy. Activities available at the lodge include horse riding in the picturesque Wyoming landscape, and just relaxing by the river and take in the views from private cabins. 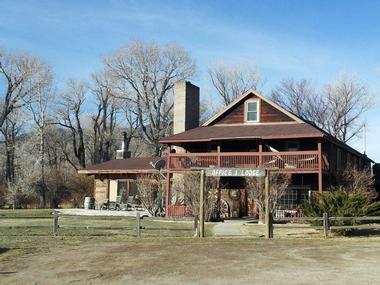 The Hideout Lodge & Guest Ranch is a lodge as well as a working ranch located in Shell, Wyoming. 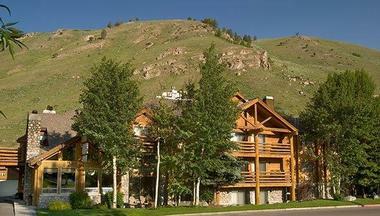 It is conveniently close to Cody and Yellowstone National Park. Guests looking for some adventure will not be disappointed by the ranch which features horseback riding and fly-fishing, as well as outdoor activities such as hiking and biking in the surrounding wilderness. If you prefer, you can take to the water and try canoeing or kayaking. One of the joys of the Hideout Lodge is its secluded and serene location because there is a limit of up to 25 guests at the lodge each week which means that staff are able to provide a premium service and allow visitors to choose from one of the 95 horses available for rides at the ranch.